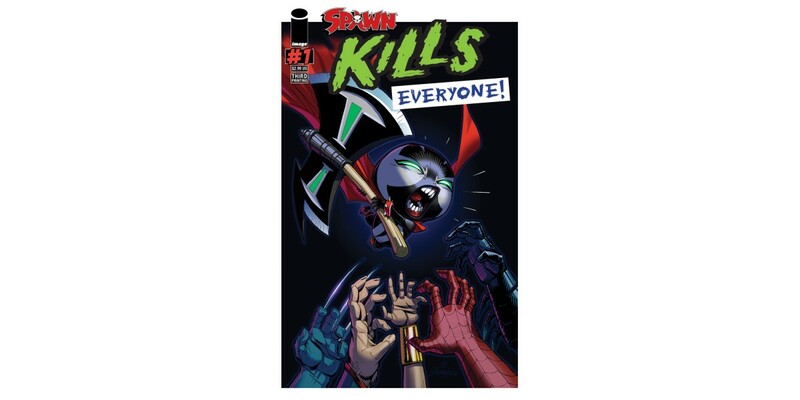 SPAWN KILLS EVERYONE!, 3rd printing (Diamond Code AUG168735) will be available in stores on Wednesday, October 19th. The final order cutoff date for retailers is Monday, September 26th. SPAWN #266 Cover A by Larsen (Diamond Code JUN160609), Cover B by McFarlane (Diamond Code JUN160610), Cover C Larsen B&W (Diamond Code JUL168773), and Cover D McFarlane B&W (Diamond Code JUL168774) hits stores on Wednesday, October 5th.